There's nothing worse than having a beautiful blade collection, but no way to show it off to your guests. For those who have been looking for a way to showcase their knives this wood and glass display case is just what the doctor ordered. 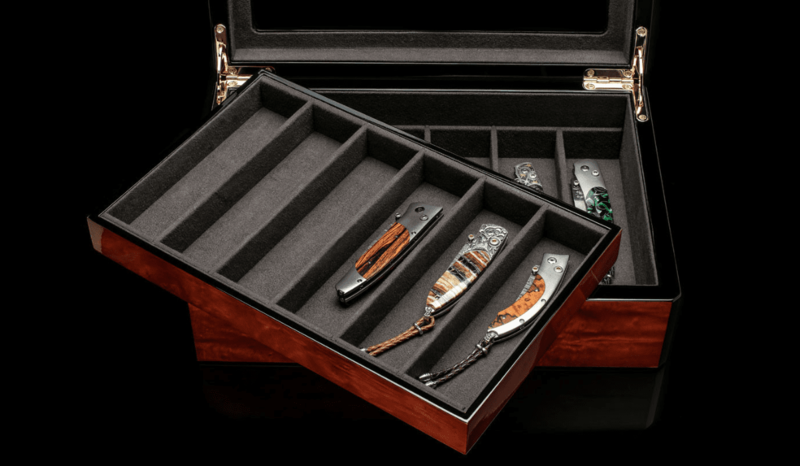 What Makes This Knife Display Case So Special? This display case has been designed by William Henry Knives, and it was engineered with the collector in mind. The case has twelve interior spaces that each measure 1.5" by 6", and each space is lined with a smooth, suede-like fabric that will help your knives avoid scratches and dings. There are also two layers of storage spaces, with six on top and six underneath in an easily accesses second drawer. In addition to the plush interior and easily accessed storage space, the case is meant to be seen and admired as surely as what's inside of it. Perfect for a coffee table the case is 12" by 8.5" by 3.75", and the beveled glass and beautiful wood draw the eye. Not only that, but the glass has the William Henry Knives' marker's mark (a stylized WH), which will make it all the more memorable for those who come across it. 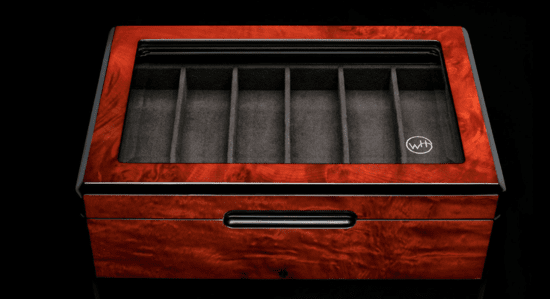 All the case really needs is an occasional dusting in order to keep it beautiful, and as long as the lid stays closed your knives will be kept safe from dust, greasy fingers, and a slew of other problems that would require you to constantly clean them. Protection and beauty all in a single, lightweight package that's tough to beat. Is It Just For Knives? While this display case might look like a knife-exclusive item, it's actually useful for any number of other collections. 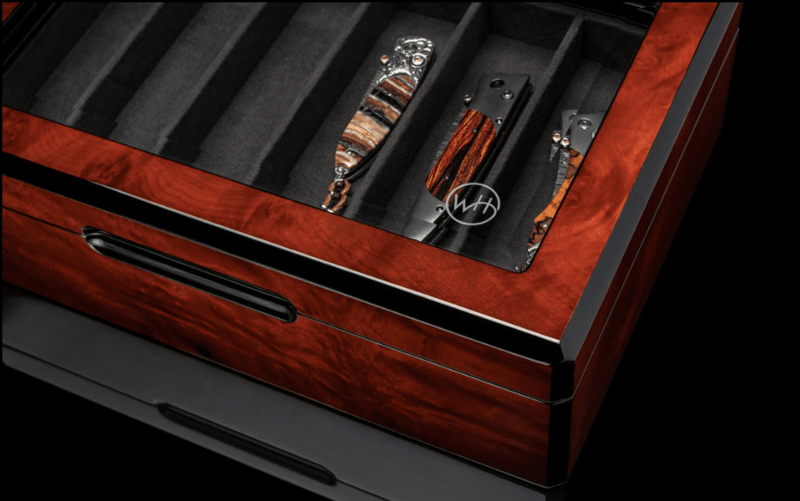 Whether you have executive style pens, or any of a hundred other types of collection this case will help you put it on display. No matter what items you prefer to collect, this case can help you put it on display as a conversation piece while simultaneously protecting the objects you've spent years (or longer) assembling all in one place. The case weighs in at 4 lbs 11 oz. The exterior dimensions of the case are 12" x 8.25" x 3.75".